Plas Y Brenin is Welsh and translates to the king’s place. It’s naming was to pay homage to King George the VI who bought the land. Plas Y Brenin is the national mountain sports center in the United Kingdom. Unlike most sports centers, Plas Y Brenin does not offer your typical everyday sports but you know what they say, it better to be someone’s shot of whiskey than everyone’s cup of coffee. It is a haven for people who love adventure, a little danger and the great outdoors. 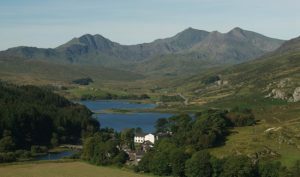 Most people go to Plas Y Brenin to participate in kayaking, alpine mountaineering’s, hill walking, scrambling, mountaineerings, skiing, road cycling, mountain biking, climbing and canoe training. The facilities on the ground are unrivaled to none. There is a well-equipped gym or fitness center open to all visitors. Inside is a 6*3m heated rolling pool for canoe training. This particular pool has facilities for video analysis in order to gauge and help the trainees. The place has six lecture rooms, a conference room and a big function room. Mountain bikers are treated to a full on purpose built skill course. Also available is a pump track, work stations for bike repair, facilities for bike washing and proper and secure storage. Paddlers have a go at the latest kayaks, canoes and sea kayaks in the market. Plas Y Brenin has an equipment store on site which is free! Yes, you heard that right. Free. Visitors can use equipment from the store free of charge during their stay. There is a 13-meter climbing wall with an auto belay system in addition to a training wall. There is a bar that is well stocked with locally brewed Brenin Ales, a variety of wines, soft drinks, and spirits. The dining experience is first class with delicious local meals made by chief chefs who are also passionate about the outdoors. Coaches are very professional and take the time to understand an individual’s expectation and ability. They do challenge you but keep it safe and fun. Accommodation ranges from classy en-suite rooms, 2 cottages and a farmhouse.